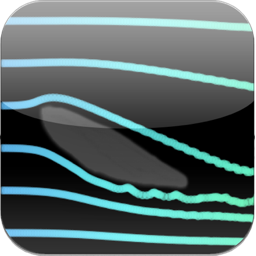 The «Wind Tunnel» app is a software for iOS and Android devices. It turns your smartphone or tablet into a wind tunnel simulator. 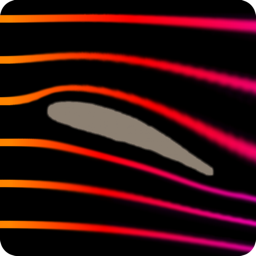 Draw obstacles and watch the fluid flow around. Experiment with different sizes, shapes, aerodynamic profiles and observe what happens. 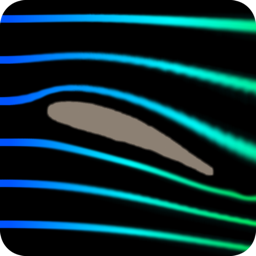 The wind tunnel application simulates fluid dynamics assuming incompressible and homogeneous fluid with the Navier Stokes equations. The application is first designed to provide an interactive and entertaining simulation. However, it still provides nearly accurate physics ! … powered by a highly optimized engine. The velocity field is solved in a 120x180 grid on most devices. This requires a lot of computational power, especially to sustain a high 30 fps frame rate. To meet those requirements, we developed a highly optimized simulation engine able to leverage most of the processing power available, both in the CPU and GPU. Critical sections of the program were carefully hand-tuned and vectorized with the SIMD NEON instructions. Further algorithmic work is still in progress, to improve the performance of the engine and quality of the simulation even further! Thank you all for your great comments ! Rating Wind Tunnel helps us gain visibility. If you like it leave a comment and rating on the iOS Apps Store or Google Play.
" It is hard to believe a small computer can perform all these calculations. WOW ! " " A good mix between science and fun. Absolutely brilliant. " Now five years after the orginal 'Wind Tunnel' was made available on the App Store and with the release of our new 'Wind Tunnel CFD' version developped in collaboration with Numeca we decided to simplify our Wind Tunnel product lineup. Our original Wind Tunnel app, which was at $1.99 now becomes free, all features remaining the same. The 'pro' version released in 2011 now becomes our 'standard' Wind Tunnel version. It is still available either for iPhone or in an hybrid iPhone/iPad version. The only things changing are the name and the price. 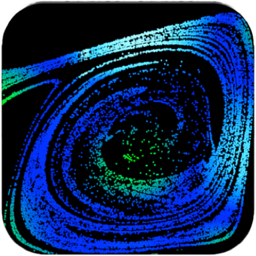 The hybrid iPhone/iPad version price is reduced from $5.99 to $4.99 while the iPhone version remains at $2.99. All apps will continue to be updated. Expect some new features coming soon!